According to today's Irish Times, the number of unfinished housing estates has dropped from 3,000 in 2010 to 668 this year. The number of unfinished estates in Ireland now stands at 668 and more than 19,000 individuals and families are living in almost 500 of them, a new report shows. Resolving Unfinished Housing Developments, the fourth annual progress report from the Department of the Environment and the Housing Agency, shows the number of so-called ghost estates has dropped from 3,000 in 2010 to 668 this year. The National Asset Management Agency owns 47 of the unfinished developments, the report says. What powers does the Irish Planning Institute think the planning regulator should have? Earlier this year the Irish Independent covered the Irish Planning Institute's appearance before the Dail Environment Committee to discuss changes to planning legislation, including a new, independent planning regulator, who will be tasked with ensuring local policies comply with national standards and are in line with best practice. Mary Hughes, President of the Irish Planning Institute (IPI), said her members - professional urban and rural planners - have serious concerns about the lack of powers for the regulator. Here, she outlines the weaknesses of the current proposal. Nearly four years ago, the IPI welcomed the recommendations of the Mahon Tribunal report "into certain planning matters and payments". In essence, it proposed that some of the Environment Minister's planning enforcement role be transferred to an independent planning regulator with powers to ensure that development plans prepared by planning authorities complied with national policy. This was to prevent, among other things, the excessive zoning of land. Powers were also promised to undertake investigations into the performance of local authorities, particularly if there were complaints, and to conduct research, education and training. Proposals for a new Office of the Planning Regulator have finally been made public, but the regulator does not appear to have been given much independence. Currently, the minister can direct a local authority to change its county or local development plan if it does not conform to national policy. Mahon proposed transferring these powers to the new independent regulator. However, it is now proposed that the final decision on a development plan will rest with the minister of the day, and not the new regulator, demoting the regulator's role to that of an 'adviser'. Advising is not regulating. If we are to have the radical reforming legislation envisaged by Mahon, then a better balance between regulation, independence and democratic oversight must be struck. Whilst the regulator may have a little more independence with its investigative role, the full extent of that role is not entirely clear. Without powers of enforcement, it is difficult to see how effective the planning regulator can be in the long term. The new planning regulator will not be given powers to force local authorities to change their rules to comply with national policy. Instead, the Environment Minister will ultimately decide if a city or county council is flouting the guidelines, and will retain the power to force a council to make changes. The details are contained in the head of the Planning and Development (No 2) Bill 2014 published by the Department of the Environment. 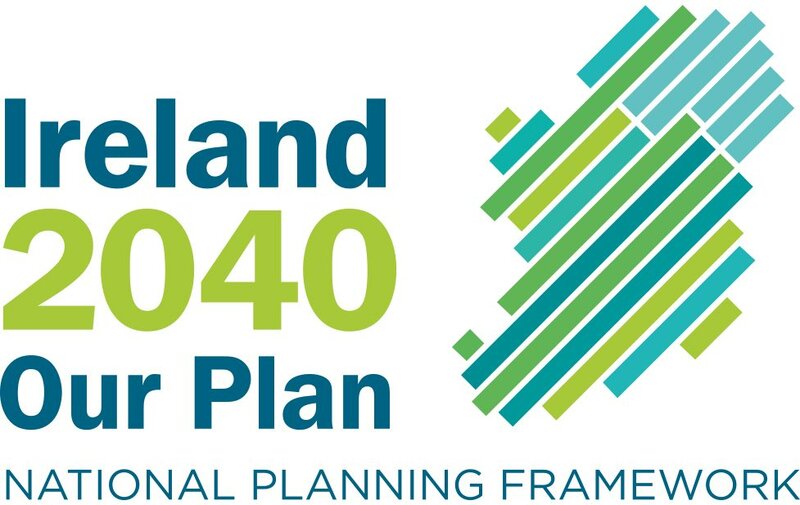 A key recommendation of the Mahon Tribunal, which found that corruption affected "every level of Irish political life", the Office of the Planning Regulator (OPR) will be established as a new and separate office and will be obliged to inform the minister if a planning strategy is "not consistent" with proper planning. If the minister agrees, they will issue a direction to the local authority, ordering them to change the plan. If they disagree, they must state the reasons why, which will then be published. Read the rest of the Irish Independent's article here. Councillors filmed by RTÉ seeking financial rewards for help with planning have been confident and combative since the broadcast. Why not? It could be an electoral asset. In the local elections last year in Sligo the biggest vote for a single candidate in any one box was that for Michael Clarke in the McGee Memorial Hall booth, in Dromore. It was a repeat performance. Clarke, standing as an Independent, easily topped the poll in the 2009 local elections, comfortably ahead of his fellow Sligo councillor Joe Queenan, who had a starring role in this week’s RTÉ investigation into standards in public office. Clarke, a publican and auctioneer, is obviously something of a local hero. He is also a convicted fraudster. In 2002 he was sent to jail for two years for his part in a conspiracy to defraud the State of more than €100,000. A corrupt Department of Agriculture official was making out cheques to nonexistent farmers under a dairy-hygiene scheme. Clarke was collecting and cashing them. The scam was quite complex, with money orders being sent to fictitious payees at a number of guest houses in Co Sligo. For those of you interested in this project, you might want to sit in on the oral hearing. The An Bord Pleanála Oral Hearing Process started on Monday 30th November 2015 at the Hilton Hotel, Kilmainham, Dublin 8. Just go in and sit down. The proposal to build the new national children’s hospital at St James’s Hospital contains faults, the board developing the project admitted at the oral hearing into the project. The St James’s site had “occasional demerits” as well as merits, Jarlath Fitzsimons SC, outlining the project, said, but An Bord Pleanala would have to strike a balance in considering the clear and obvious benefits of the project. 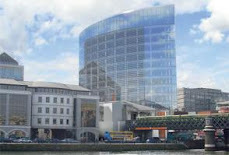 Monday is the first day of the oral hearing into plans to build the new national children’s hospital at St James’s. The hearing into one the biggest infrastructural project in the history of the State was convened by the board and is expected to last at least three weeks. The application covers the proposed new children’s hospital, a research centre and children’s accommodation in St James, as well as two satellite centres at Tallaght hospital and Connolly Hospital in Blanchardstown and a “compound” at Davitt Road in Drimnagh. The scheme is opposed by a number of charities and groups who favour building the hospital on a greenfield site, preferably to the west of Dublin, and will hear from neighbours concerned about the impact of the proposed development on their community. A decision from the board is expected by February; the hospital could be built and opened by 2020 if the project is approved. O'Flynn Capital Partners (OFCP), whose founder is Mr O'Flynn, have sought a judicial review of Dun Laoghaire Rathdown Co Council's July 31 refusal for 164 residential units at Beech Park, Bray Road, Cabinteely/Loughlinstown. The plan involves the demolition of 11 existing dwellings and the construction of a 158 metre section of the Druid's Glen Road linking to the N11 road. It also involves the provision of up to 30 metres of the Druid's Glen Road Bridge. The potential sales value of the developed land should well exceed €75m, Mr O'Flynn says. It will also create around 100 full time construction jobs. The land was acquired for more than €12m. Planners refused permission for a number of reasons including that the development failed to provide a "high quality site-specific design response for the site" in relation to layout, ecology and landscape design.